Mrs. Spencer was the lucky winner of the Clean Part's second pie raffle. 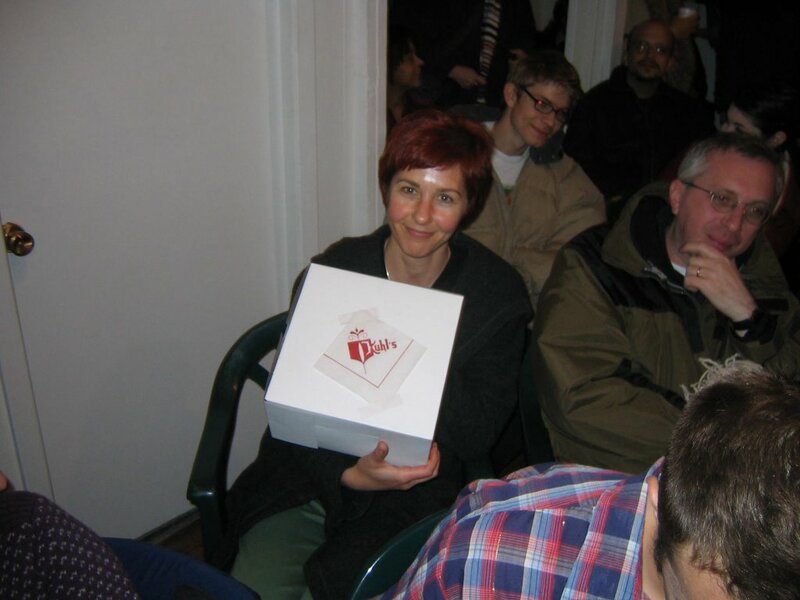 She won a fabulous pecan pie from Kuhl's Diner. She looks happy about her Kuhl's pie. You should go there sometime. Kuhl's is at 1038 O Street in Lincoln right next to Gomez. For more pictures of the second Clean Part, see the Dec. 9 posting here.